The International Coordination Meeting of Youth Organizations (ICMYO) is an network of membership-based, democratic, representative and accountable International Youth NGOs (INGYOs) and Regional Youth Platforms (RYPs). 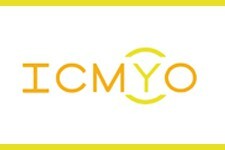 ICMYO currently has 35 members. The main objectives of ICMYO are the strengthening of the cooperation among youth organisations at the regional and global levels and the coordination of political inputs to global youth policy processes. ICMYO aims to integrate youth fully into the debates and decision-making processes at the UN and elsewhere in order to have a stronger influence on global youth policy processes. ICMYO member organizations seek to mainstream youth perspectives into all fora and ultimately seek full partnerships between youth organizations and institutions. At a meeting in September 2013 in New York, on the sidelines of the UN General Assembly, the ICMYO network agreed unanimously, after 10 years as a loose network, to develop stronger ties between member organisations, open up to specialised youth organisations working in regions or margined youth and national organisations of interest who cannot be part of an international platform. Involvement in the network is through member organisations. A full list of members can be found at: http://icmyo.org/members/. New organisations wishing to participate in ICMYO are invited to present themselves to the annual ICMYO meeting. More information on membership can be found here: https://icmyo.org/join-icmyo-now/.